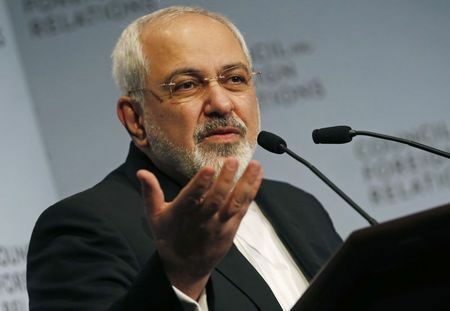 Iran’s Foreign Minister Mohammad Javad Zarif says the chaotic situation in the region results from the problematic policies pursued by Saudi Arabia and the Israeli regime, rejecting allegations that Tehran’s “expansionist” policy has brought destruction to the region. “We have never sought wiping out any country, while Saudis have sought hurting Iran. But they have proven unsuccessful and hence accuse Iran of expansionism,” the top Iranian diplomat said in an interview with the French magazine Le Point published in French on Thursday. The Islamic Republic of Iran has always been seeking cooperation with all Persian Gulf countries, while Saudi Arabia has been seeking to engage in clashes with Iran in the Middle East, he said. Riyadh’s regional policies designed to weaken Iran have brought unwanted results, Zarif said, pointing to the Saudi government’s failures in Lebanon, Iraq, Syria, Yemen, Qatar and Afghanistan. “The problem of our region is Saudi Arabia. This country tries to enlist the support of the US, France and Britain to wipe out Iran from the region or at least push our country to the sidelines,” he said. Zarif said Iran would rush to Saudi Arabia’s support in case of an attack, just like the way it backed Qatar during the Persian Gulf crisis and assisted Kuwait when it was attacked by Iraq in early 1990s. The Iranian foreign minister said the increasing influence of Iran results from Tehran’s honest policies and mistakes by its rivals. Asked to explain about allegations that Iran seeks to dominate the region, Zarif said Iran’s military expenditure is much less than countries like Saudi Arabia or the United Arab Emirates. Last year, the military expenditure of Saudi Arabia was $69 billion and that of the UAE was $22 billion, while Iran’s military budget was less than $16 billion, he said. On accusations that Iran seeks to destroy Israel, Zarif said Iran has never said it will wipe Israel off the map. “When did we announce we will destroy Israel? Just show us one body [Iranian official] who has said this. No one said this,” he said. Asked about the 2007 remarks by former Iranian president Mahmoud Ahmadinejad that Israel will be wiped off the map, Zarif said Ahmadinejad has just repeated the words of Imam Khomeini, the late founder of the Islamic Revolution. The top Iranian diplomat said Imam Khomeini had said Israeli’s brutal policies will lead to its destruction, not that Iran will destroy Israel. This is while the Israeli premier Benjamin Netanyahu threatened Israel would destroy Iran during his visit to Dimona nuclear plant late August this year, Zarif said.